E-Mobility is more than established as a crucial solution to cope with the mobility sector challenges arising from climate change, global warming and the need for decarbonisation. There is a considerable increase of electric and hybrid cars in the portfolio of automotive producers; regulators demand and support the expansion of E-Mobility through regulatory frameworks and incentive schemes. The worldwide increasing share of electric and hybrid cars raises the question of how can these vehicles be best integrated in our electrical grids. While necessary grid expansions could be a challenge, opportunities are much more significant; Especially the storage function of battery electric vehicles can flexibly contribute to network stability and storage – a crucial challenge regarding the increasing share of renewable energy in our energy systems. Thus, E-Mobility offers a more than substantial contribution to decarbonisation. The buzz words ‘Vehicle-to-grid’ and ‘grid-to-vehicle’ indicate that new business models are emerging and E-Mobility might become a crucial part of a more flexible integrated energy system in the future. Moreover, the transformation of the energy and the mobility sector – Energiewende and Verkehrswende – evolve into a joint project and sector-coupling becomes more than a catchword. 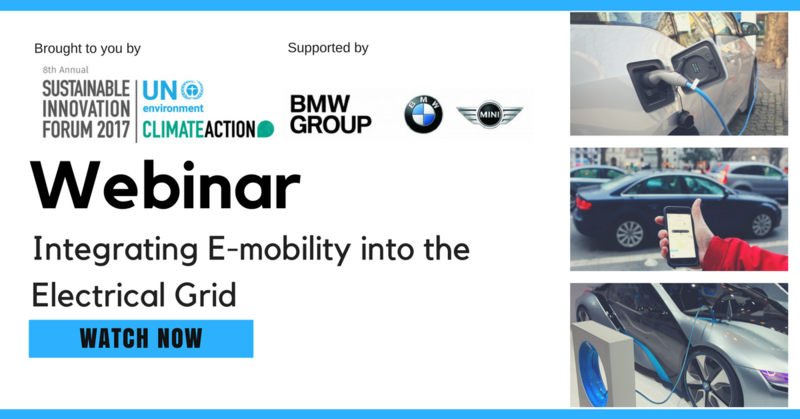 This webinar illustrates this new role of E-Mobility from the different viewpoints of the automotive industry, energy providers and key stakeholders in the energy policy debate. 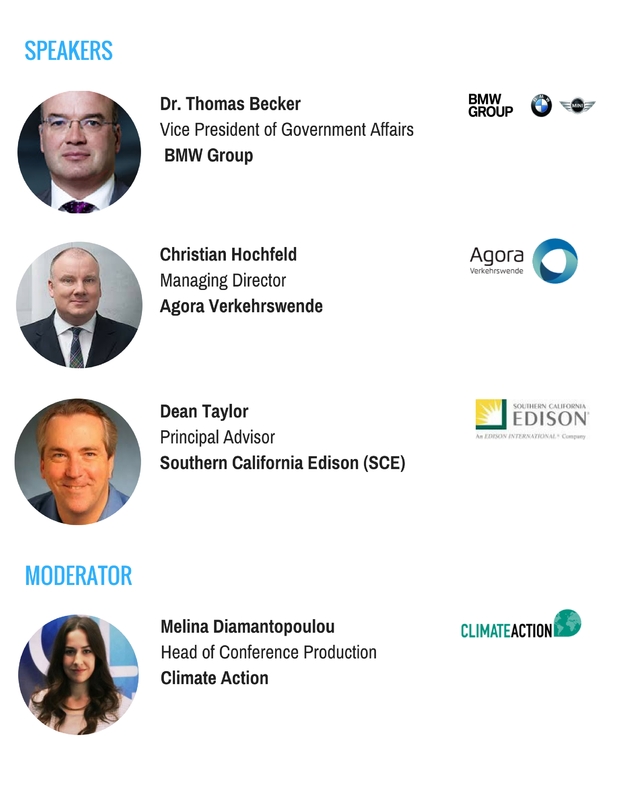 This webinar, held ahead of the 8th Sustainable Innovation Forum on 13 & 14 November 2017 that takes place alongside COP23 in Bonn, gathers E-mobility sought-after experts to discuss how electric and hybrid cars can support achieving the Paris Agreement goals. And anyone interesting in finding out more about the E-mobility sector.